An incredibly disturbing study has found that a third of teens believe that smoking marijuana and driving is perfectly legal. In fact, many said the combination is common among their friends. In this issue, we’ll talk about the specifics of the study. Liberty Mutual Insurance and SADD (Students Against Destructive Decisions) joined forces to survey 2,800 teens from high schools across the country. While 88% of the surveyed teens agreed that driving under the influence of alcohol is dangerous, only 68% said the same about driving under the influence of marijuana. Perhaps even more disturbing was the viewpoint by 39% in states where marijuana is legal that they’d feel perfectly comfortable getting behind the wheel just two hours after smoking pot. 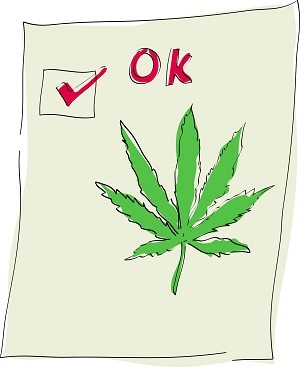 This is despite the fact that pot can remain in a person’s systems for days and even weeks. According to those who conducted the survey, the disturbing data appears to show that teens are getting mixed messages about dangers of driving while high. Among those surveyed, 22% admitted that driving while high on pot is a common occurrence for them and their friends. This thought process flies in the face of facts, particularly a recent National Institute on Drug Abuse survey which found marijuana consumption affects driving skills just as alcohol. There are a number of ways parents can address the dangers of driving while under the influence. Discuss with your children – rather than lecture them – about the safe driving practices. Institute clear rules for consequences of driving under the influence. Establish a secret code (perhaps a text code of “222”) that will allow your teen to alert you that they need to be picked up. Injured by an impaired driver in Alaska? Call Barber & Associates. Drugged and drunk driving is a serious – and potentially deadly – issue. Casual attitudes and beliefs about impaired driving need to be addressed at early ages. If you’ve been injured by an impaired driver, we urge you to get in touch with us here at Barber & Associates. The first meeting is always free, and we’ll fight aggressively to ensure you get the compensation you’re entitled to.